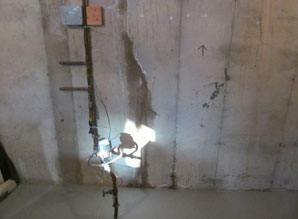 Is your foundation cracked or showing signs of water seepage? 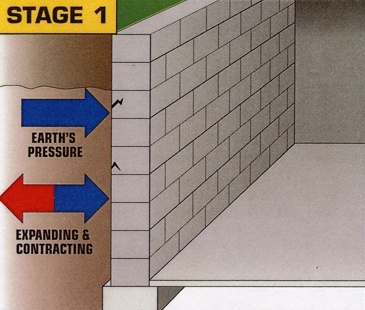 A secure foundation is one of the most important elements in your home. If you’re in northern Ohio or southeast Michigan, we can perform a foundation repair quickly and easily with foundation crack injections. When you find signs of a crack, it must be corrected immediately to prevent further damage. Our high-pressure foundation crack repair method will fix the cracks in your poured concrete walls, giving you peace of mind. 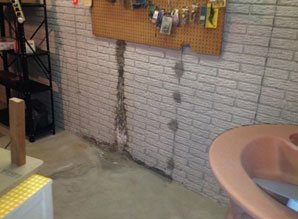 No More Basement Leaks! The high-pressure method forces the bonding agent deep within the crack, ensuring no space goes unfilled. The result? 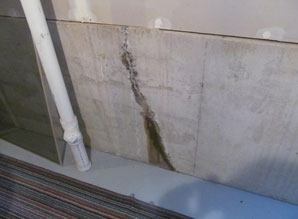 Basement water seepage stops. No More Worries! A big question on many customers’ minds is, “what if my foundation cracks come back?” Not to worry! EverDry Toledo provides a 5-year warranty. With over 100 employees and 20 service vehicles available, we are never more than a phone call away. "If you notice cracking on the inside of the foundation, you will find three to four times as many cracks outside." What You See: Minimal water seepage, if anything. 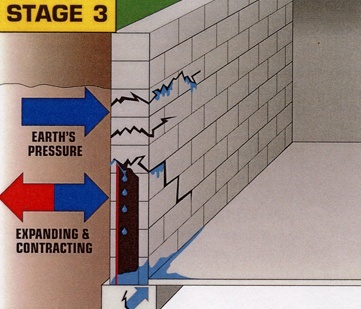 What's Happening: The outside surface of your basement wall cracks first. Water penetration begins. What You See: Mold, peeling paint, chalky substance, dampness, or other visible damage. 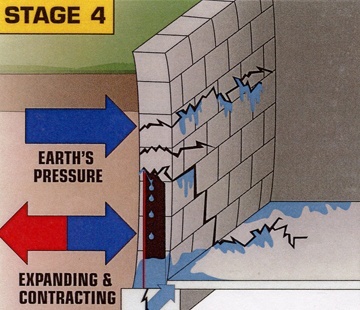 What's Happening: Cracks deepen, allowing water about half-way through your wall. What You See: Water is inside your basement. Visible damage worsens. 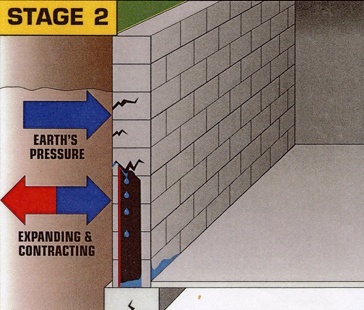 What's Happening: Cracks reach inside your basement. What You See: Bowing, buckling, structural damage. What's Happening: Cracks increase, resulting in serious structural problems.